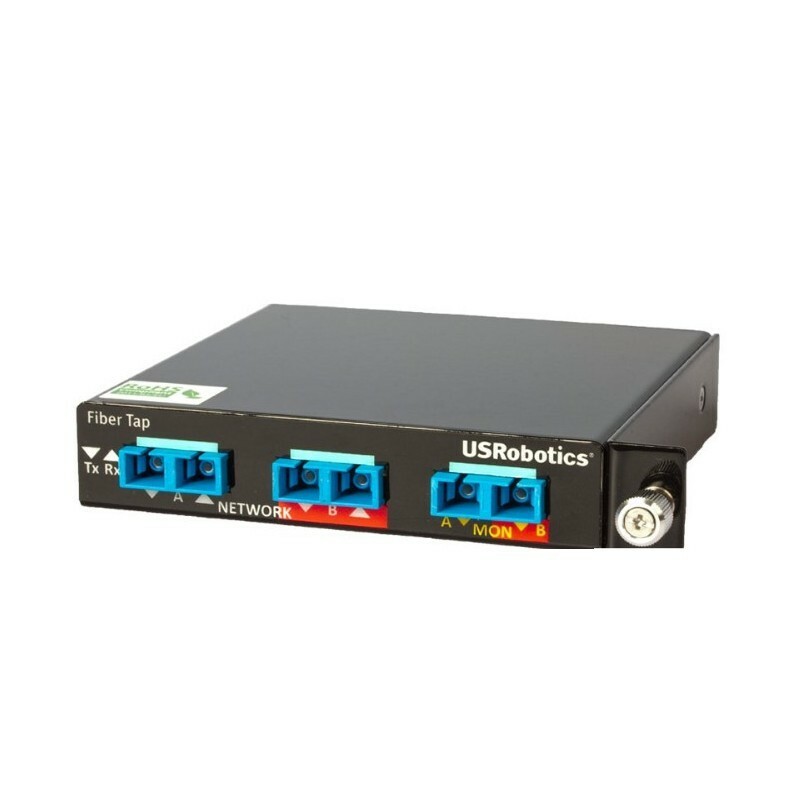 The USRobotics Gigabit Fiber Taps provide an easy method to rapidly and effectively deploy analysis tools to observe and monitor traffic non-intrusively between two devices on a fiber network. By design, fiber taps are totally passive, fault-tolerant, and invisible to the network which means they will not affect network performance or integrity and can be trusted for permanent installations on a fiber network. These rock solid devices are ideal for real-time monitoring and analysis of any traffic between critical network devices such as switches, routers and firewalls and continue to pass errors that aren't seen using SPAN ports. Topology independent, the taps can be used for ATM, Gigabit, OC3-OC48, or SONET protocols and are available for both Single-mode and Multimode fiber networks. - Comes with convenient built-in rackmount adapter for use with the optional 1U 3 unit rack mount.